The Liberal Democrats have called for a reform of the "Bedroom Tax" in a dramatic withdrawal of support for the controversial welfare reform. Lib Dem Care Minister Norman Lamb said the evidence was "clear" that the policy was not working. Conservative Party Chairman Grant Shapps has said he was "surprised" at the Liberal Democrats dramatic shift on the so-called Bedroom Tax. Shapps described the policy as "very reasonable" and questioned why the Lib Dems had not raised concerns earlier. Chief Secretary to the Treasury Danny Alexander has defended the Liberal Democrats following their dramatic shift on the so-called 'Bedroom Tax'. Alexander said the Lib Dems put forward ideas for changing the controversial welfare policy last September and "people shouldn't be surprised it is something the Liberal Democrats have been thinking about". Read: Liberal Democrat turnaround on so-called Bedroom Tax. The relationship between the Tories and Lib Dem's is under increasing pressure after Nick Clegg changed tack on 'bedroom tax'. Nick Clegg has said there needs to be 'fair reform' after the Liberal Democrats performed a dramatic U-turn on the so-called 'bedroom tax'. The leader of the party said they have been advocating changes "for some time" and an official report from the Government confirmed "the change in subsidies for bedrooms is just simply not working as it was intended." Read: Liberal Democrat turn around on so-called Bedroom Tax. A senior Liberal Democrat defended the party's decision to U-turn on the so-called bedroom tax, as the "evidence clearly shows" the policy is not working. Tessa Munt told Good Morning Britain there was "no point in bashing your head against a brick wall if something is not working" and that the Government needed to change direction in order to get people into the right housing. Danny Alexander has said no-one should face a cut in state help if no suitable smaller property is available and all disabled claimants should be exempt. In a direct message to the Conservative government, the Chief Secretary to the Treasury said the Liberal Democrats will "make the case for these new fairer rules." Speaking to The Mirror he said: "If we can't convince our Conservative coalition partners, we will commit to these reforms in our 2015 manifesto." 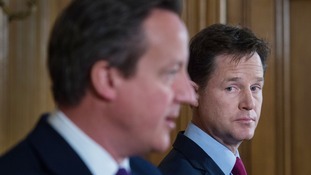 "The Lib Dems voted for the bedroom tax. There wouldn't be a bedroom tax if it wasn't for the Lib Dems. "And in February when Labour tabled a bill to scrap the bedroom tax, the Lib Dems were nowhere to be seen," she said. "This just goes to show why you can't trust a word the Lib Dems say. "It is clear the only way to cancel the bedroom tax is to elect a Labour government next year." Lib Dem Care Minister Norman Lamb has said the evidence was "clear" that the controversial "spare-room" policy was not working. He told BBC2's Newsnight that in his North Norfolk constituency he came across "many cases" where people may be willing to move, but the state of the housing market and the shortage of social housing just makes it impossible. "So they are stuck in a situation," he said. "It was also wrong for disabled people who needed an extra room for a carer to use or to be adapted in some way to be hit". The Liberal Democrats called for a reform of the bedroom tax in a dramatic withdrawal of support for the controversial welfare reform. It is now time for the rest of government to reconsider this disastrous policy. This policy has unfairly targeted disabled people, causing them undue hardship and risks marginalising them from society. This tax has had a disproportionate impact on disabled people as many have been found to have a so called 'extra room' despite requiring it because of their disability.Alongside other benefits being cut, housing benefit has been the final blow for many disabled people and can lead to rent arrears and serious financial pressures. The Liberal Democrats have called for a reform of the "bedroom tax" in a dramatic withdrawal of support for the controversial welfare reform. Speaking to The Mirror, Chief Secretary to the Treasury Danny Alexander said it's time to "take stock and change our approach." With only one in 20 of affected claimants having successfully downsized, it’s clearly time to take stock and change our approach in this particular area. Those already in the social rented sector would only see a reduction in their housing benefit if they are offered a ­suitable smaller home and, crucially, turn it down. Disabled adults should be treated in the same way as disabled children, by permanently exempting them.